Prior to a divorce in North Carolina, a couple must be separated for a year. This year can be fraught with uncertainty and instability, as the spouses must adjust to their new reality and figure out money, living situations, and child custody arrangements. One mechanism that separating couples can use to address some of the uncertainty up front is a separation agreement. A separation agreement is a legally enforceable contract between separating spouses that can encompass how property is classified and divided, who lives in the family home, child custody, spousal support, and child support. While these agreements can be wide in their scope, there are limitations to what they can include. They cannot absolve a person of debt to a third party. It is common for separation agreements to obligate one spouse to pay debts, such as mortgage payments, car payments, or credit cards. However, this does not bind a third-party creditor from its ability to collect from both spouses. Instead, if a spouse fails to fulfill their obligation to pay, the other spouse should seek enforcement of the contract. A “dating” clause. Some couples attempt to explicitly agree that they can each date other people without using that information against each other in later divorce proceedings. While this may sound like a reasonable, fair idea, it is legally impermissible. This is because adultery is illegal, and parties to an agreement cannot make an agreement to engage in illegal activity. While dating new people is simply a reality for many separated people, it should not appear in a legal agreement. Any provision that runs contrary to the child’s best interest. Courts take issues of child support, child custody, and visitation very seriously. They are tasked with entering orders that are in the best interest of the children and promote the welfare of the children. Further, the court retains the discretion to modify child-related orders, regardless of the agreement. A smart, enforceable separation agreement protects you and your future. If you are considering a separation, please contact us for assistance. 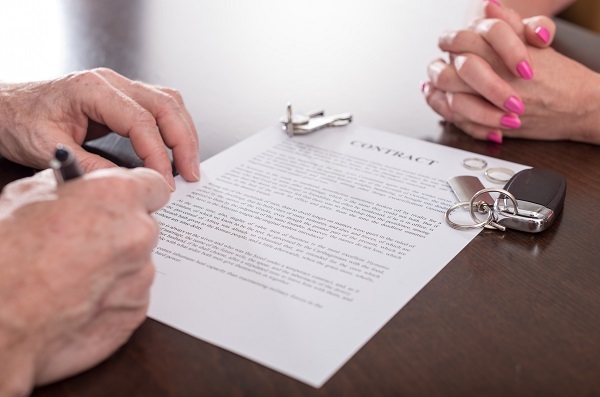 For two decades, the attorneys at New Direction Family Law have fought for clients in the process of a separation and divorce. Our team has built a reputation as smart, effective professionals who work hard to achieve our clients’ goals. Call our office today at (919) 719-3470 to schedule an appointment, or contact us at our website.